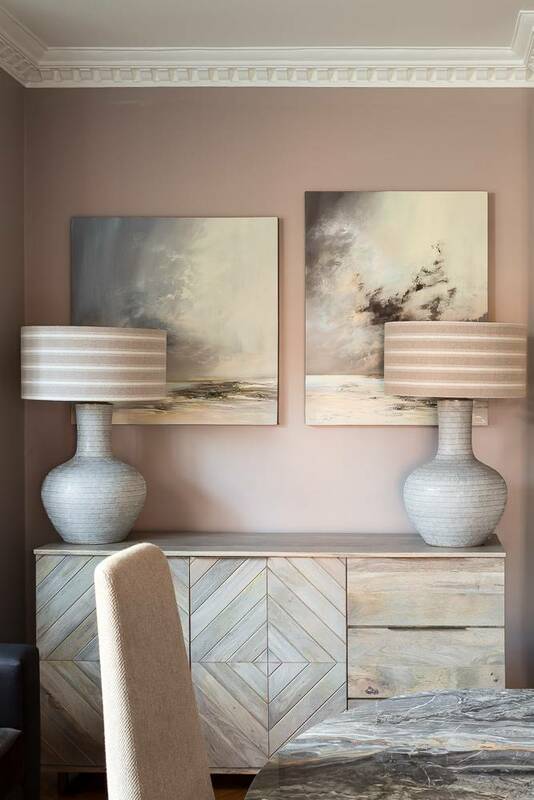 Emma had found some key pieces she really loved and wanted help to create a scheme around these, packed full with personality and fun! 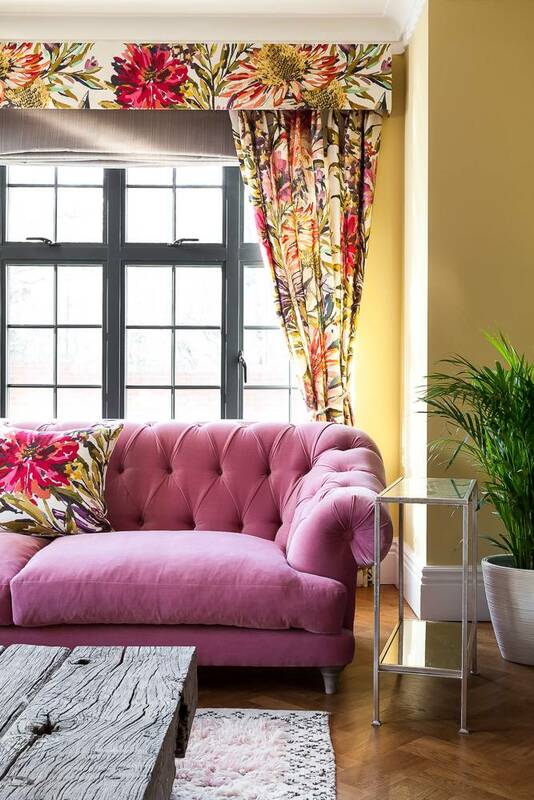 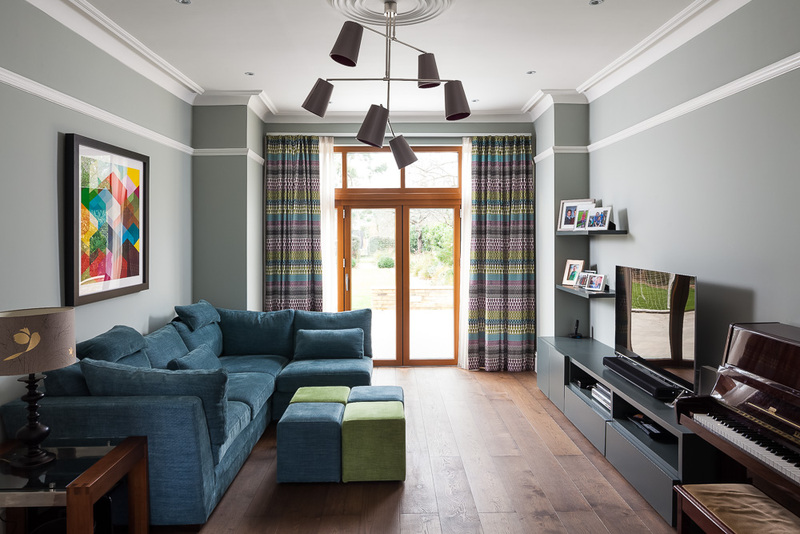 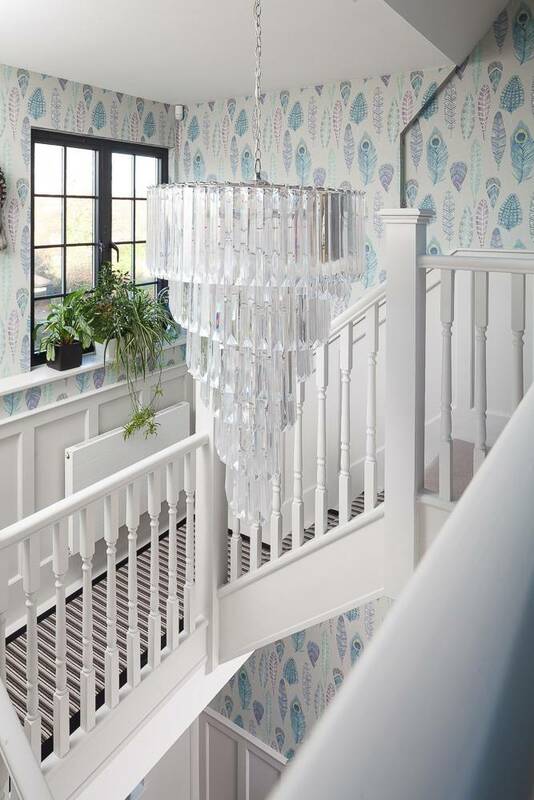 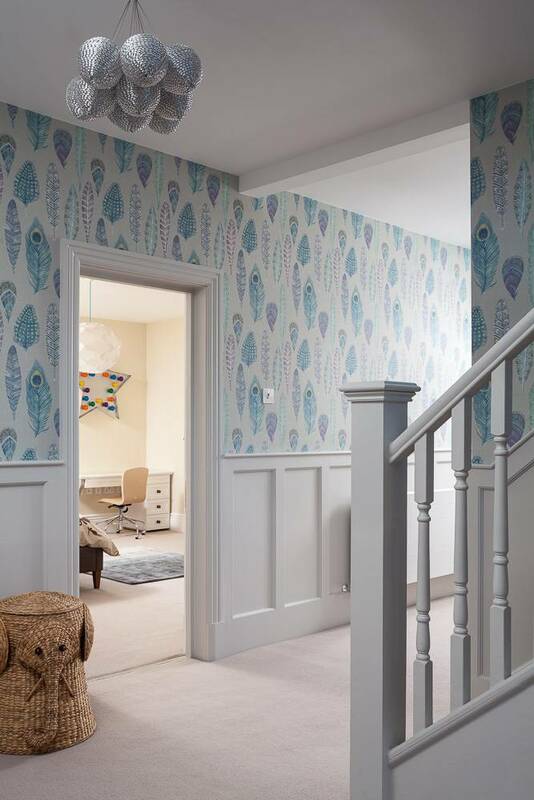 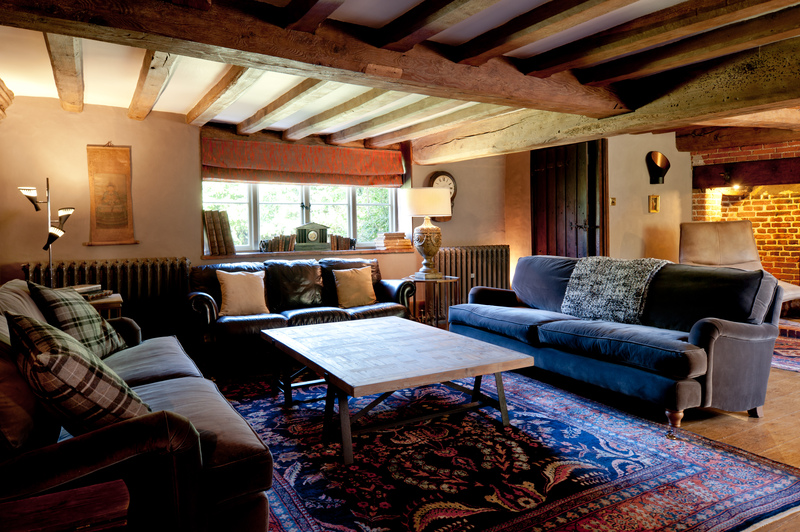 There are so many fantastic interior design elements to this home, we’re going to let the photos do the talking! 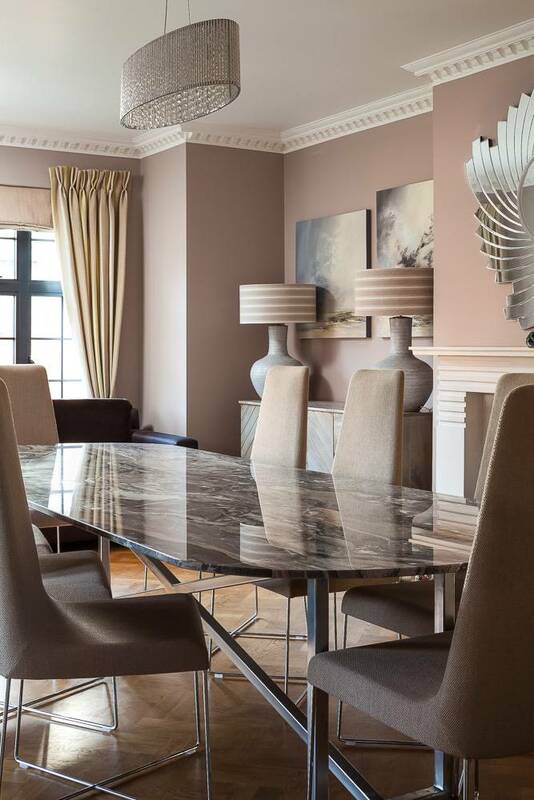 The dining table mixes custom and high street – with the marble table being custom made from a slab of marble Emma fell in love with to create a glamorous dining area. 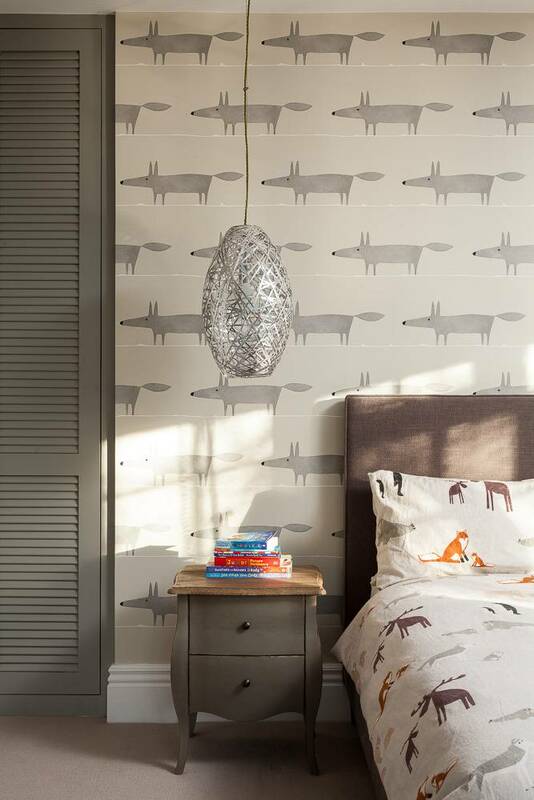 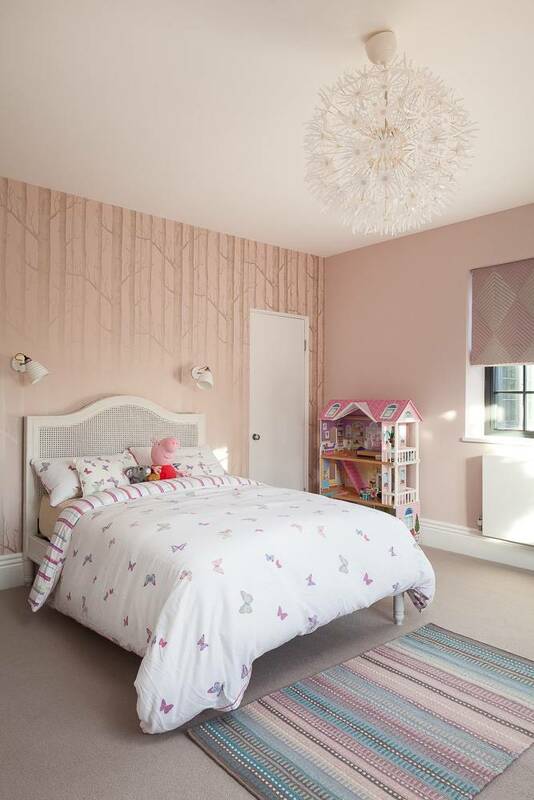 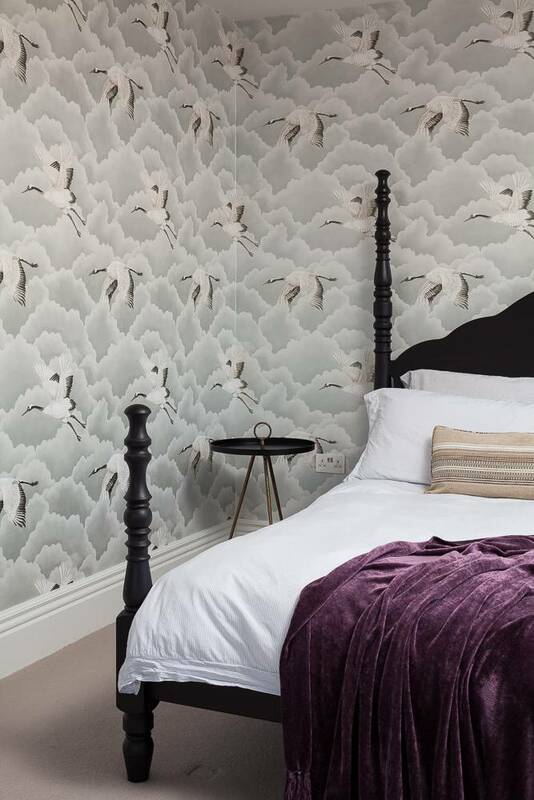 The master bedroom wallpaper gives a dreamy feeling of floating in the clouds, grounded with the bespoke four poster bed for a seriously good nights sleep. 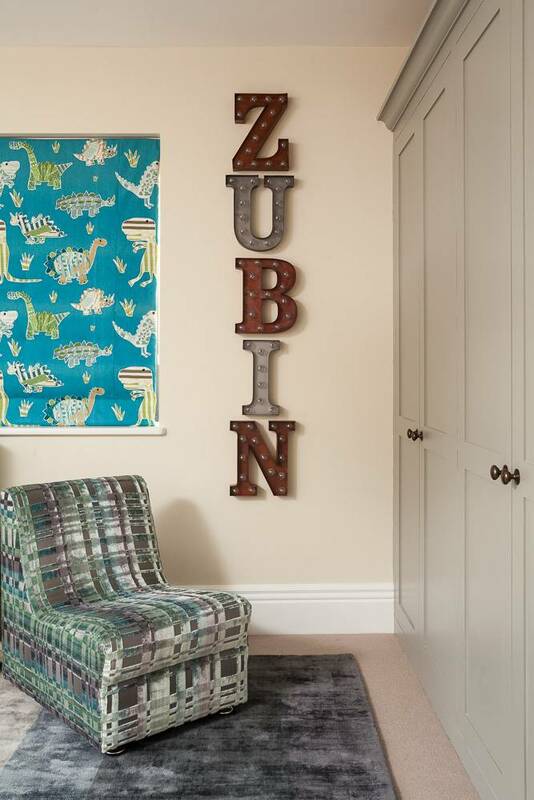 The children’s rooms had their own personal style added, with bold wallpaper, gorgeous colours, tons of texture and both of their names in lights!